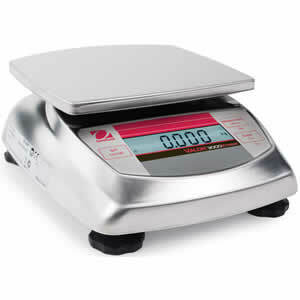 SW digital food scales provide portability since they operate on AC adapter or battery power. When you power it up with alkaline batteries, you get roughly 1,000 hours of uninterrupted use. 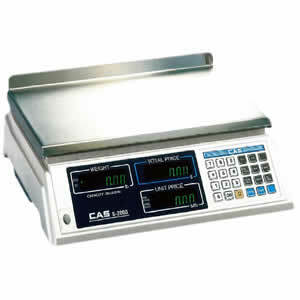 In addition to being portable, Cas SW Series is legal for trade and can be used to sell products such as food by weight. 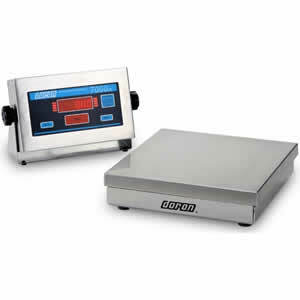 NTEP approved Cas SW scales are perfect for restaurants and farmer's markets. 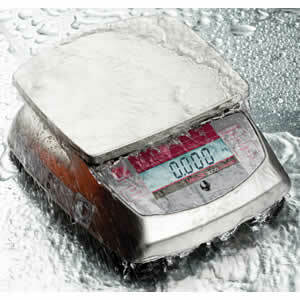 The washdown ABS plastic WBW Series from Adam Equipment provides great value for the money when seeking an NTEP approved scale with washdown and checkweighing capabilities. For this reason, it is our most sought after legal for trade scale and it doesn't disappoint. It comes in 3 different capacities and is used for weighing food, herbs and candy. 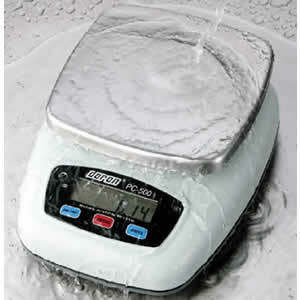 Ishida iPC 15 lb portion control scale features all you need for basic weighing. It's compact size, battery powered operation and light weight provide for exceptional portability. 2 D-cell batteries can power the iPC for up to 500 hours. Low battery annunciator informs you when you need to replace them. Extend battery life even further by utilizing the portion scale's auto-off feature. This setting can be set for 20 min, 60 min or Off. 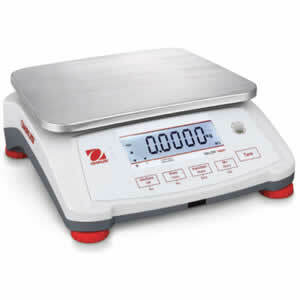 Valor 7000 compact food scale is the newest scale in OHAUS’s line of reliable and durable products that will increase your food weighing and proportioning productivity. Dual displays and touchless sensors, user-friendly menu and setup, along with the speed and accuracy of the results provide for a seamless and hassle-free user experience that is second to none. Compact and portable PC400 Series is constructed entirely out of stainless steel and features "Quadra Spring" shock and overload protection. 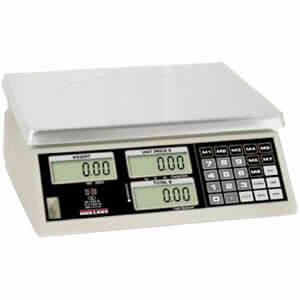 Doran PC-400 digital scale is legal for trade and operates on an internal rechargeable battery pack or AC power with an included adapter. Auto shut-off prolongs life of battery when the scale is left idle. 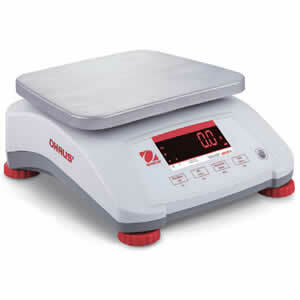 Ohaus FD6 digital food scale is legal for trade, but also features non-NTEP mode that offers a slightly more precise resolution. When selling food by weight you are required by the Department of Weights and Measures to operate the scale in NTEP mode. The other mode can be used for any other weighing applications you may want to use FD6 from Ohaus for. Compact design, durable stainless steel construction and NTEP come standard in these select Ohaus Valor 3000 models. 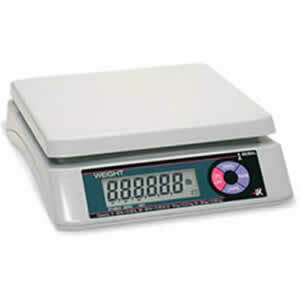 Two legal for trade scales are available in dry-use versions. They operate on batteries or AC adapter and feature Ohaus SmarText user interface, backlit display and adjustable rubber feet. Full stainless steel housing with added chemical resistance and removable stainless steel weighing pan are durable and easy to clean. Technically advanced overload protection rated at 10x capacity is ideal for tough environments where capacity is frequently exceeded. Valor 3000 Series offers resolutions up to 20,000d and 0.01g, providing precise measurements in demanding environments. User adjustable filtering and stability settings allow compact scale to operate accurately in drafty and unstable conditions. SmarText™ user interface utilizes bright backlit LCD and simple text prompts to guide users through application use and scale setup. Don’t sacrifice speed or precision when you can have both. Ohaus Valor 4000 displays results in less than half a second on a bright red display. Coupled with a touchless infrared sensor next to the rear display allows a second operator to tare the scale by simply swiping the hand. Valor 4000 was created to support speedy use in the food industry which is why it is legal for trade to suit the retail environment. 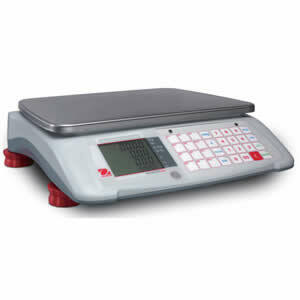 In addition to standard weighing, Valor 4000 offers checkweighing, accumulation and percent weighing modes. 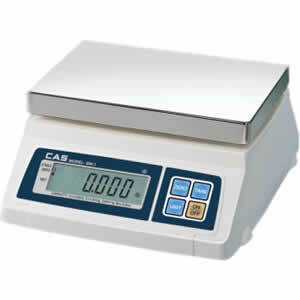 Weighing — Determine the weight of items in one or more weighing units -- lb, oz, lb:oz, kg or g. Uuse the 0.2 g to 5 g readability for weighing additives, spices and yeast. 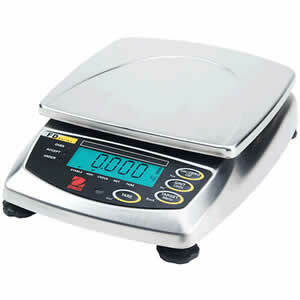 Percent Weighing — The Valor 4000 includes % weighing for recipe formulation and baker’s percentages. Just weigh the flour on the platform, capture the reference weight and all other ingredients can be weighed as a % of the flour weight, making small batches of dough quick and easy to work up! 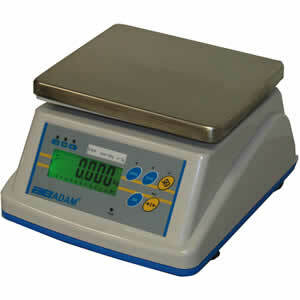 Practical use in formulation, ingredients weighing and baker’s percentage. Check Weighing — Use the bright red/yellow/green LED’s to easily fill containers and packages by weight -- great for sorting, grading and portioning. Accumulation — Keep a running total of all items by weight for recording long production run results. Doran leads the way with an IP66 washdown safe and rugged scale that is both legal for trade and NSF listed. The result of more than 30 years of design experience, innovative PC500 delivers a scale that tackles harsh environments of washdown, food service, and industrial applications. Long battery life and a sleek, low profile design makes the PC500 a perfect solution for your weighing needs. Durable and compact Versa-portion Series provides IP68 rated washdown for best protection against water and dust. 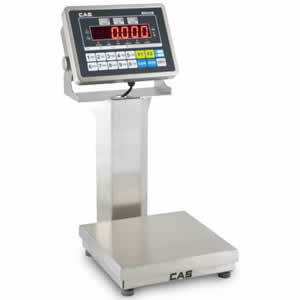 Bright LED display us easy to read the weight in pounds, grams or ounces. It includes and AC adapter for operation, however the rechargeable battery is available as an option for more flexibility. 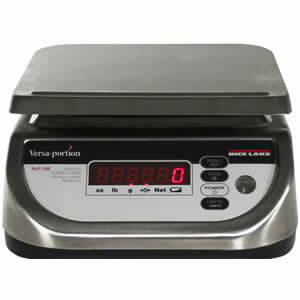 Due to the stainless steel construction, the Versa-portion is perfect for weighing fish, poultry and meat since you can efficiently clean the digital scale after use. Valor 3000 Xtreme V31XW6 features IP65/NEMA 4 rated washdown protection and is certified legal for trade. 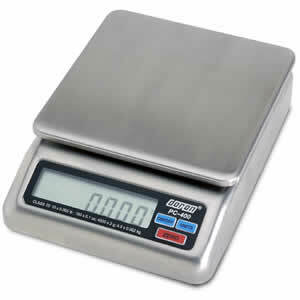 The dependable stainless steel compact bench scale can now be used for even more weighing applications than ever before. Its NTEP approval means businesses such as restaurants can legally use the Valor 3000 V31XW6 to sell food or other items by weight. User adjustable filtering and stability settings allow compact scale to operate accurately in drafty and unstable conditions.